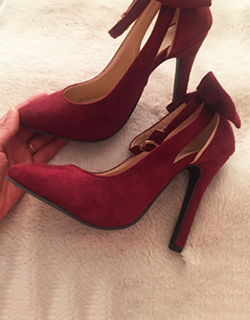 These shoes are beautiful and easy to walk in! 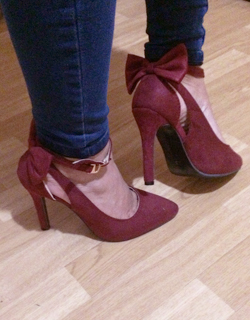 I ordered the maroon pair, but because it is satin it can look more bright red in the light. They are comfortable and stunning, definitely worth the money! I am in love with these shoes. Was for of our single party, I won best shoes for the night! Make sure you strap the the ankle strap tight and your away, they were really comfy and I was able to dance for a good few hours. Would recommend to anyone who wants to make a statement. First impression: the manufacturer spent some time to pack the shoes well. Good job! There was protective wrapping around the pointy part. This was true to the size and comfy to walk in. Highly recommended! So cute! While the shoe is fits perfect. 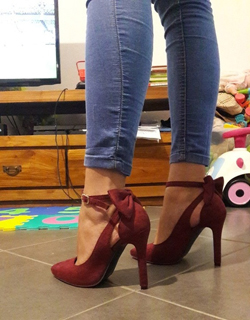 They are a nice small heel and the strap is an extra touch. it's red and very pretty. They will work as they are for one night. I am going to wear them more often. 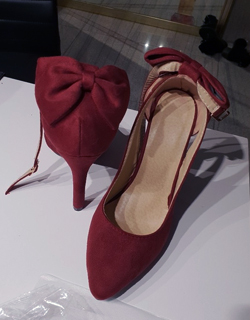 These shoes were amazing! Still in shock that I got them for such a low price. Size was fit as expected. Quality is good, well made and packaged.Great purchase! 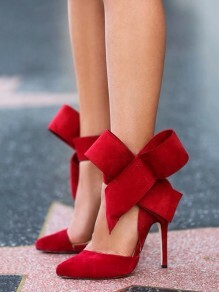 Love these shoes! They fit really well, are very comfortable and adorable! They’re all you can ask for out of a pair of functional high heels. I’m planning on buy another pair in a different style from the seller when I can. Love it!! Good quality and so comfortably, I would like to buy again. I gave them 5 is because the heel is great. easy to walk in these. Really nice shoe! Very comfortable and you can easily spend a whole dance night. It does not hurt anything and does not rub anything. I would buy again! Loved these shoes super comfy!! Was able to wear them all night dancing! I kept getting compliments so I’d say this is a steal for the price.